January is National Soup Month, making it ideal to whip up a couple of warming and hearty soups for the cold winter month. There are only a few soups that rival the classic tomato. This recipe has a slight twist, adding cashews and apple for texture and flavor. Whether you create it for lunch or a family dinner, be sure to make this tomato basil soup recipe! Heat a medium pot over medium-high heat and add a splash of water, the onion, and garlic. Sautee until soft. Add the tomatoes and apple. You can choose to peel the fruit beforehand if you want a smoother soup. Cover the pot and reduce the heat to medium-low. Simmer until the tomatoes and apple are soft and falling apart. The time depends on how ripe they are. Remove the pot from the heat and add the basil, 1 teaspoon of salt, vinegar, and pepper. Blend until smooth with an immersion blender or carefully transfer the soup to a regular blender. You can serve the soup straight away and hot or chill it in the fridge for several hours. Serve the soup with the cashew cream drizzled and swirled on top and a few basil leaves for garnish. 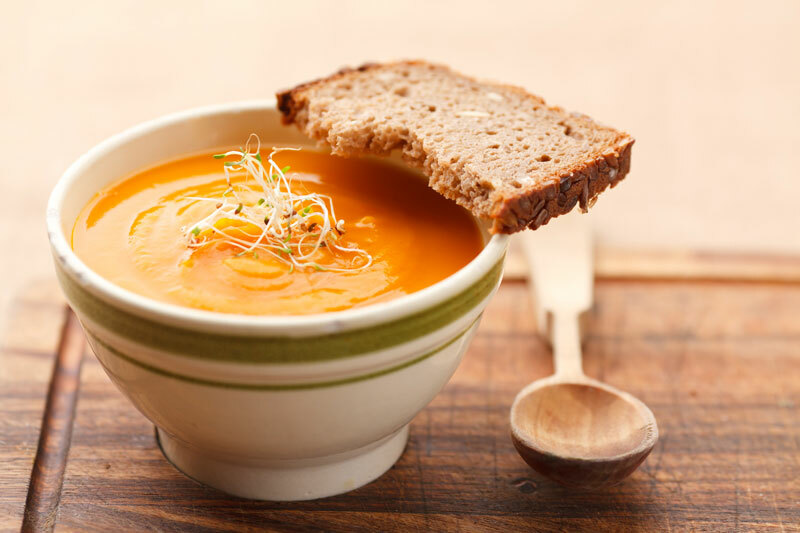 This is the ultimate tomato soup recipe, perfect for your winter warming! For the peace of mind that you’re protected with reliable insurance policies, visit Abbate Insurance in New Haven, Connecticut today.